Carter Finally Gets It by Brent Crawford, narrated by Nick Podehl. Those of you who listen to audiobooks avidly probably already know of Nick Podehl, who is one of the foremost narrators in the business. This book, about a freshman boy's life, is probably one of the funniest and well done YA audiobooks I've come across. Podehl's voices and the way he directs his voice away from the microphone for effect are spot on, and his timing is perfect. 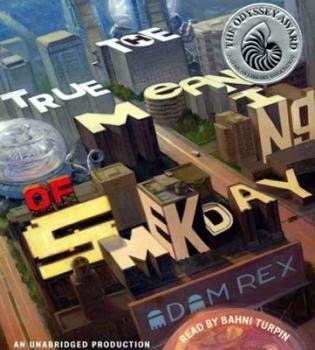 The True Meaning of Smekday by Adam Rex, narrated by Bahni Turpin. Turpin won the Odyssey Award (best audiobook narration for youth) for her work on this book, and it's well deserved. Her voice for the aliens, especially J.Lo, is just too perfect. I have no idea how I would have read those voices, but now I can't even think about this book without hearing her. I'm super excited about the sequel coming out next year, and I hope hope hope she will narrate that audiobook too. Oh, and the book itself is very funny and I love it. See You at Harry's by Jo Knowles, narrated by Kate Rudd. Time for something serious. This audiobook is not funny like the previous two picks, but it is still very affecting. Rudd does a masterful job giving voice to Fern, a 12-year-old middle child who feels invisible in her family. She and her brother are bullied, her family takes her for granted, not to mention her dad keeps trying new, embarrassing tactics to advertise for their restaurant. But this one becomes a tissue-box novel once a heart-wrenching tragedy is thrown in. I will never forget listening to Rudd's grief-stricken voice. 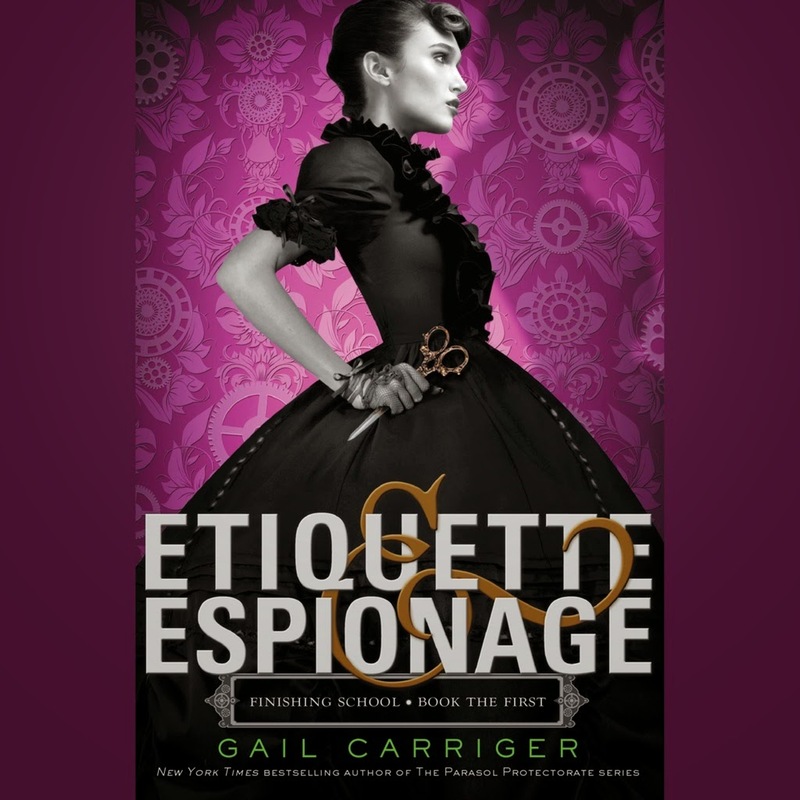 Etiquette & Espionage by Gail Carriger, narrated by Moira Quirk. Who doesn't love a good, amusing steampunk novel mixed with some paranormal happenings? Carriger's YA series set in her version of Victorian England (which has werewolves, vampires, and is powered by steam and innovation) is a rollicking good time, delivered with panache by Quirk in her narration. The sequel, Curtsies & Conspiracies, is just as good. Looking for an adult series instead of YA? Check out Carriger's Soulless series, though I'm not sure about the audio versions for that. The Jacky Faber series by L.A. Meyer, narrated by Katherine Kellgren. Katherine Kellgren is another audiobook heavyweight, winning awards left and right, and for good reason. She throws herself into her character, getting each and every accent down and nailing it. Jacky Faber, a young teen girl in the early 1800s, travels around the world on adventure after adventure, all trying to keep one step ahead of trouble, which always seems to find her. Skulduggery Pleasant by Derek Landy, narrated by Rupert Degas. I honestly can't imagine reading this series over listening to it. I'm so sad the audio version are so difficult to find after #3. Degas deadpans the sarcastic and witty banter, as well as giving truly fantastic voices to each and every character. He does a perfect job, and bonus points for his Irish accent. Love it. 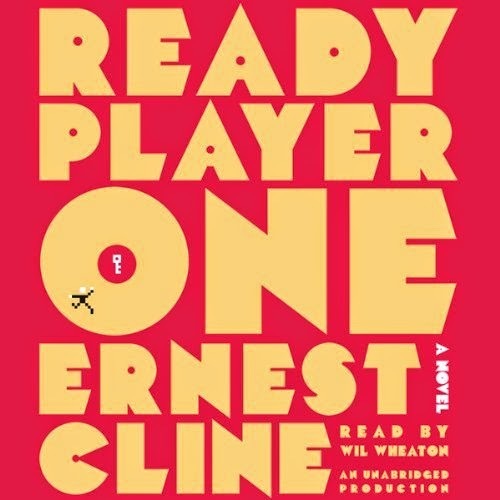 Ready Player One by Ernest Cline, narrated by Wil Wheaton. Yes, that Wil Wheaton. Who is the best man for the job. I loved this audiobook, especially once the action really starts up. Basically we've got a future where people spend most of their time in the Oasis, a virtual online world, and the creator of this place has left clues throughout the game leading to his fortune. But he hid it so well that no one has found it in over a decade. Until Wade. The Flavia de Luce mysteries by Alan Bradley, narrated by Jayne Entwhistle. I love Jayne Entwhistle's voice, which is perfect for 11-year-old Flavia de Luce, lover of chemistry and poisons and amateur sleuth, whose stories take place in rural England in the 1950s. Really, anything by any of these narrators is probably a good bet. If you are thinking about jumping on the audiobook bandwagon, this is a good starting point. I LOVE audio books, and was so glad you reccomended some I haven't listened to. My favorite narrator is Jenna Lamia, particularly her reading of The Chosen One by Carol Lynch Williams. And I can't begun to describe my love for Shannon Hale's books done by Full Cast Audio, which are read with a full cast (obviously). Nice! I'm glad I could help! I'm one of the few audiobook listeners I know who DOESN'T like Jenna Lamia's narrations, so I hope you enjoy the ones I did! I also love audiobooks! They're the only way I get through cardio workouts at the gym. I adored the first Flavia de Luce novel but haven't gotten around to the others. I'll be searching my library for the audiobooks. Have you tried A Certain Slant of Light by Laura Whitcomb - read by Lauren Malina. It's so ethereal and perfect. Beauty Queens by (written and read) Libba Bray is also excellent. Thanks for the recommendations, I haven't listened to or read either of those! I'll have to check them out. I also love Full Cast Audio. Among my favorites are Gilbert and Sullivan Set Me Free and the Wildmage quartet by Tamora Pierce. I have only begun listening to audio books in the past year. I started with The Great Gatsby and Middlemarch as I couldn't get into reading these two. Loved the way the narrator brought them to, life. The ones you recommend sound interesting. The only one of these I've listened to is Flavia de Luce, and I have to agree, those are some of my favorite audiobooks EVER. I'll have to check out some of the others you mentioned. Thanks.